March 01, 2018, 4:00 p.m. 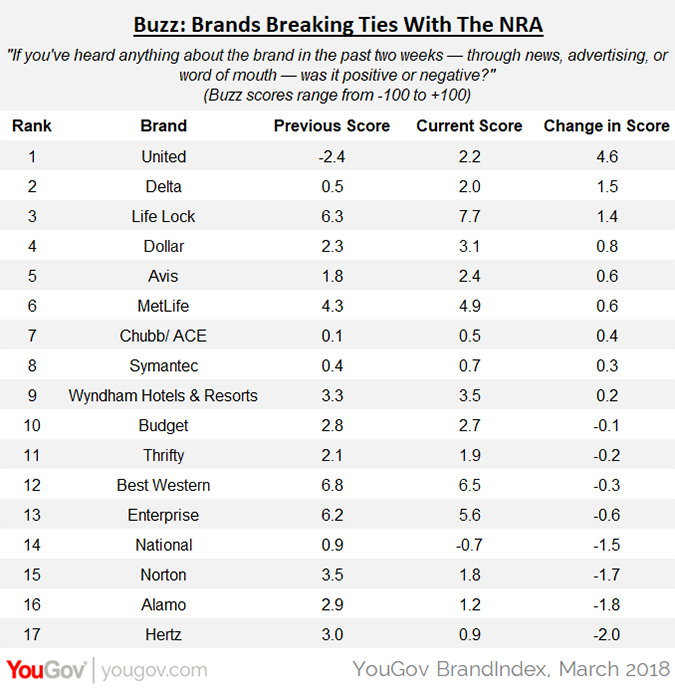 Despite a significant increase in the number of people talking and hearing about many of the brands which broke their NRA partnerships, overall consumer perception for most of those brands have remain unchanged, according to YouGov BrandIndex. The results seemed to align mostly along political party lines, but with a twist: while consumers who affiliated as Democrats felt more positive about the brands, Republicans didn’t change their perception, and independents actually steered negative. While the Democrats are going as expected, it seems Republicans are divided on their brand support in light of their parting with the NRA. For independents, it may indicate that consumers who are less political are more skeptical of the motives behind the brands’ decisions. In a nutshell, Delta, Hertz, Delta, Enterprise, Avis, and National Car Rental led the way with the biggest increases in Word Of Mouth, comparing data from this past week, with the week before, to establish the difference in pre- and post- announcement perception. 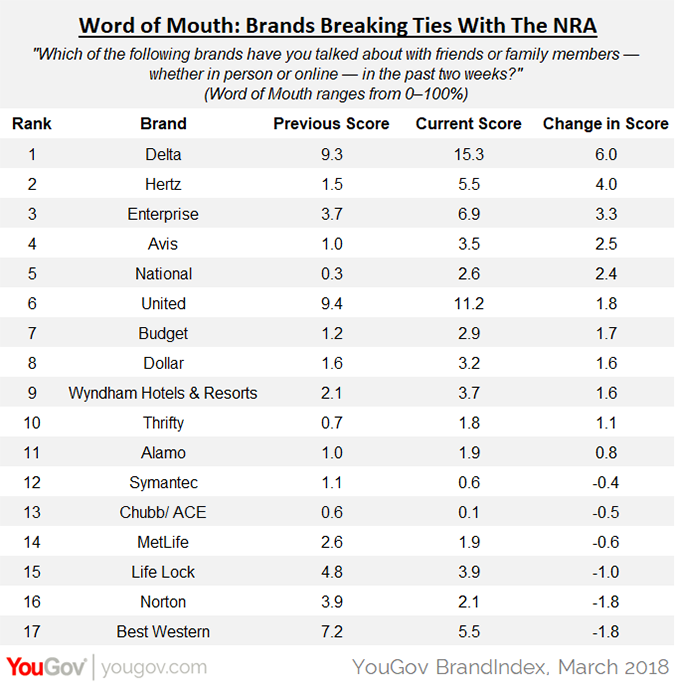 Of the 17 brands that broke ties with the NRA which YouGov BrandIndex tracks, most of them registered an increase in word of mouth. For example, Delta went from 9% of adults 18 and over talking about the airline with family and friends over the past two weeks to 15% on Wednesday. 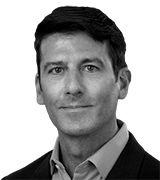 However, in measuring overall consumer perception, none of the 17 partner brands which broke ties with the NRA that YouGov BrandIndex tracked has moved in a statistically significant way, which may indicate American consumers applying equal positive and negative pressure, depending on their politics and position on gun control. One brand did turn up high on two key metrics: United Airlines. The airline made the biggest gains in both Buzz ("If you&apos;ve heard anything about the brand in the last two weeks, through advertising, news or word of mouth, was it positive or negative?") and General Impression (“Do you have a general positive or negative impression of the brand?”). For this research, YouGov BrandIndex measured the following brands: Life Lock, Best Western, Enterprise, MetLife, Wyndham Hotels & Resorts, Dollar, Hertz, Budget, Delta, Avis, Norton, Thrifty, Chubb/ACE, Symantec, United, and National.